Depression is more than an emotional slump—it lasts longer, is more severe and affects your ability to complete everyday tasks. Despite this, its symptoms are often brushed off or mistaken for other conditions. The two major signs of depression are a persistent feeling of sadness or hopelessness, plus a loss of interest in your favorite activities. Get help if you experience these symptoms or any of the seven on this countdown list, which can be a bit more difficult to recognize. Pain is the first sign of depression for almost 70 percent of people, according to some research. But it may present itself in a variety of ways; it may come and go, or seem to change locations. Don’t be surprised if it’s difficult to clearly pinpoint the exact source of your pain. Depression affects the brain chemicals norepinephrine and serotonin, which are responsible for both mood and pain perception. Because depression-related pain is chemical in nature—and not necessarily associated with one physical location—it can be hard to describe. Don’t assume these symptoms are caused by another health condition. And if you already have an illness or injury, don’t think that depression is an after-effect you just have to live with. 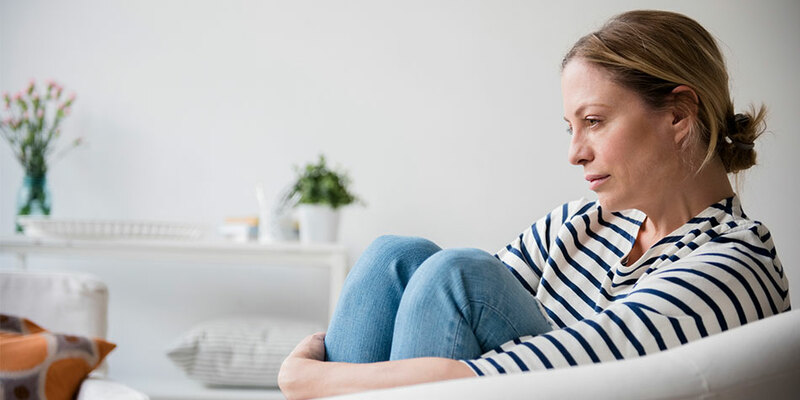 Losing interest in the activities that once brought you pleasure is a hallmark symptom of depression—and that can include a loss of interest in food. Your appetite can change for many reasons, but eating less and less every day for about a month might mean your pleasure response isn’t working properly. Eating increasingly large amounts of food every day is another depression red flag. You may crave indulgent comfort foods, which can lead to a vicious cycle of poor body image, low self-esteem and binge eating to self-soothe. You might associate depression with just wanting to stay in bed, but the disorder can affect your sleep cycle in a number of ways. About 75 percent of people with depression develop insomnia, or the inability to fall or stay asleep. Sleep problems don’t just come from having a lot on your mind. Depression may actually alter your circadian rhythm, or the biological processes that help you sleep. It can make you sleep too much, as well, called hypersomnia. Hypersomnia is more common in women and young people, affecting about 40 percent of those with depression under age 30. Don’t ignore sleep problems. Poor sleep not only affects your quality of life, but also increases your risk of relapsing after starting treatment. Depression can make you feel slow and listless, but surprisingly, it can make you restless too. You might find yourself pacing, wringing your hands, or feeling unable to sit still. Even though restlessness is fairly common, don’t dismiss this symptom. It could be a side effect of your antidepressant, signaling that you need a medication change. You might experience brain fog or become easily distracted, which may interfere with your ability to complete familiar tasks or meet deadlines. Older adults don’t always feel sadness as their main symptom, but may have difficulties concentrating instead. Since the signs can be similar, depression is sometimes mistaken for Alzheimer’s disease. Older adults getting tested for dementia should be screened for depression, as well. It’s common for those with depression to constantly compare themselves to others and feel like they've come up short. You might carry around feelings of worthlessness or believe you’re a failure. On top of that, you might feel guilty about all the time you spend having negative thoughts and emotions. These feelings are typical, and are one reason why talk therapy is an essential part of depression treatment. A therapist can help you identify and reframe harmful thought patterns. The most important symptom to never ignore is suicidal ideation, or thoughts about suicide. If someone you know is showing these signs, don’t stay quiet because you’re afraid of saying the wrong thing. Ask them about it in a calm, non-judgmental way. It’s all right to say, "Do you ever feel so bad that you think about suicide?" If you have depression, reaching out to a counselor for help can seem intimidating, but don’t ignore your symptoms. With the appropriate treatment plan and support, remission is possible.